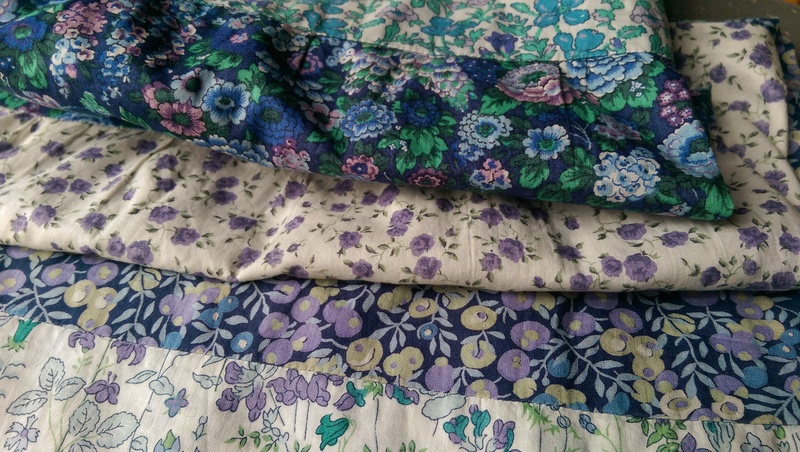 My little EYF haul from last year. The Blend No. 1 and the Buachaille were birthday gifts. Although seeing a lot of fibre celebrities in real life was pretty cool, I don’t feel I made the most of the day, and so this year I am making some plans before I go. Home Farm Wensleydales – yarn from the farm’s own flock of Wensleydales (and some Blue-Faced Leicesters). Wensleydales are brilliantly eccentric-looking sheep. Garthenor – undyed organic yarn from British sheep breeds. How gorgeous is their website?! Cambrian Wool – a community interest company set up to develop products with Welsh wool. The Border Tart – a Scottish indie dyer specialising in indigo. Polo & Co – rustic French yarns in natural shades or plant-dyed. Shetland Handspun – natural and dyed yarns spun by hand in Shetland. Ardalanish Weaving Mill – yarns and accessories from a farm on the Isle of Mull that uses fleeces from its own and other local sheep. Daughter of a Shepherd – undyed yarn from the proprietor’s father’s flock of Hebridean sheep. Woollenflower – plant dyed yarns, and accessories made from reclaimed tweed. Uist Wool – a cooperative company spinning undyed yarns from local sheep in the Outer Hebrides. Black Bat – British rare breed wools. The Border Mill – undyed and naturally dyed alpaca from a lovely small operation in the Scottish Borders. Apparently they have a new 4-ply alpaca-silk tweed range – sounds nice! Iona Wool – yarn spun from sheep on the island of Iona. The Little Grey Sheep – Gotland yarn from Hampshire dyed by hand on the farm. Whistlebare – yarn from Northumberland, dyed on the farm it’s raised on. Kettle Yarn Co – ethically sourced, hardwearing yarns, some of which are naturally dyed. John Arbon Textiles [https://www.jarbon.com/yarns-wools] – a Devon mill that produces lots of interesting yarns, including local and single-breed yarns. Laxtons [http://www.laxtons.com/shop/undyed-yarns-for-hand-dying] – undyed yarns in large quantities. Blacker Yarns [https://www.blackeryarns.co.uk/knitting-wool-yarns] – spinners of all sorts of British wool, including lots of single-breed yarns. Skeins of Border Mill naturally dyed alpaca aran that I got last year after seeing them at EYF. Whew, that’s a long list! (Well done, EYF organisers, for bringing in so many interesting small producers.) Are you wondering whether I intend to buy from all of them? Of course I don’t; I couldn’t possibly afford to. I want to keep my yarn acquisitions very small and purposeful this year, so I may not come away with much yarn at all. But visiting these sellers, feeling their yarn and learning more about the sheep and people who produce it will be a) pleasurable in itself, b) a good way to learn more about different yarns and their properties, and c) a way of building up a reference index of yarns I like so that next time I need a whole sweater’s worth of wool, I know where to go for it. This is not a comprehensive list, so if you know of other vendors like this who are coming to EYF, please leave a comment! What vendors are you excited about seeing at the Festival? 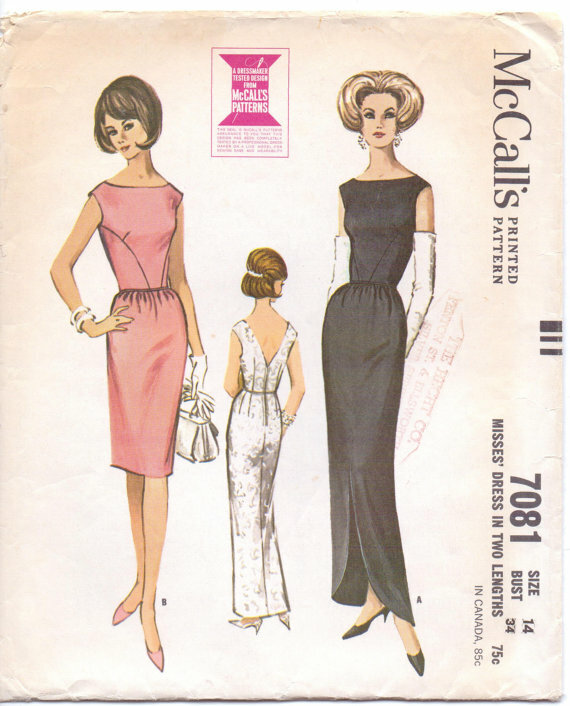 McCall’s 7081 is a 1963 cocktail dress pattern, and I chose it because of the unusual bust seam lines and boat neck on the front bodice, and the v-neck on the back. The only size I could find was a bust 34, and I spent the next few months working on muslins, trying to refine the fit for my slightly smaller bust, and much narrower back. 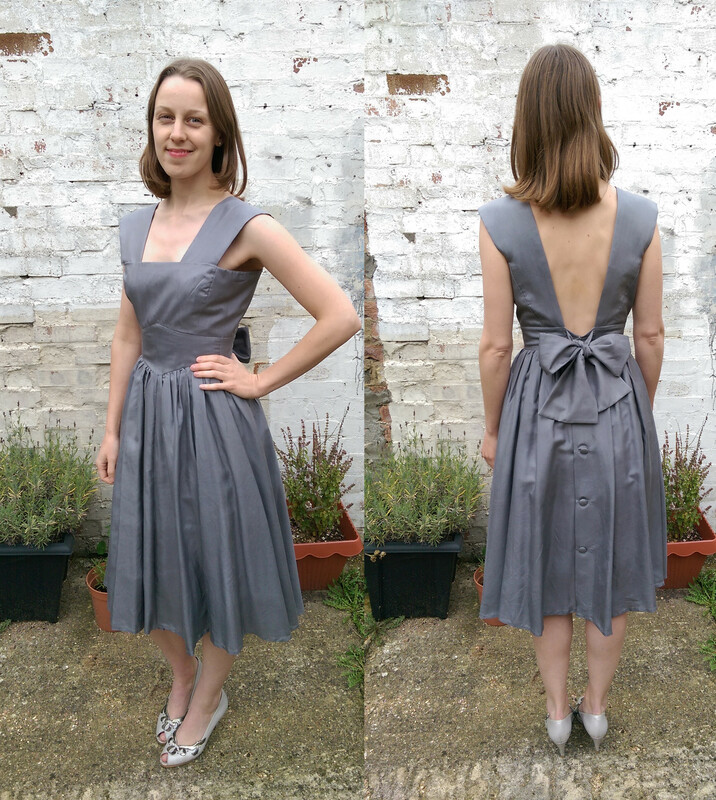 I invested in a dress form (something I’d wanted for a long time – this project was the excuse I needed! ), and with Hanna’s help, adjusted it and added padding around the bust to approximate my dimensions. Although this bodice looks uncomplicated (its sleek simplicity was what had most appealed to me), the front curved seams proved deceptively tricky to alter, and in the end I left them alone, and achieved a better fit by, essentially, removing fabric at the side and back centre seams. 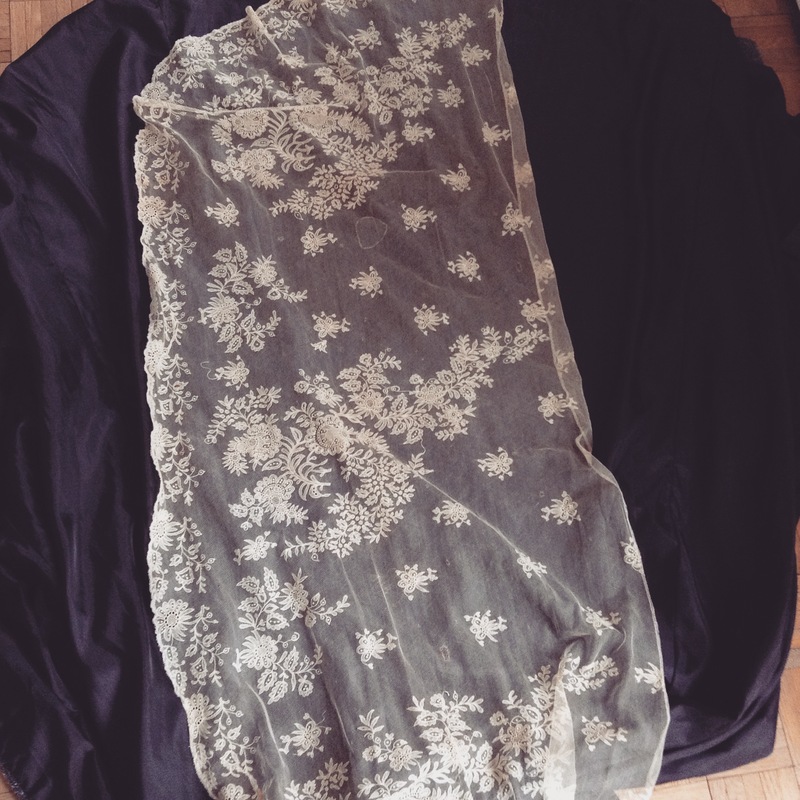 This was the first time I had incorporated muslins into a dressmaking project, and this part of the process was certainly slow, and at times frustrating. It goes without saying that for such a project as this, muslins were entirely necessary, and I would never have cut into costly silk without being fairly sure about the final result. In the end though, I did enjoy this particularly slow stage of the project – rather like when honing a long piece of writing, the repeated, careful revising eventually left me with a sense of satisfaction and pride, in knowing that I had produced a thing well-crafted. By late June, I hadn’t yet decided how one or more pieces of the antique lace would be incorporated. I knew that the lace was definitely going to be part of the skirt, and on the back of the skirt (a full-length circle skirt), where it would be most striking. I can’t remember exactly when it was that I finally chose to use just one piece: a tambour net flounce, over 3 metres long, dating from the 1880s, which is coincidentally the same decade in which the church where we were married was built. I think many people would be shocked that I was still making some quite crucial decisions about my dress with just over a month to go until our wedding day. The timescales prescribed by the wedding industry are often terrifyingly long – it’s not unusual to make practical arrangements and lay down substantial deposits years ahead, and in my experience of others’ weddings, dresses are sourced months, if not also years, in advance. 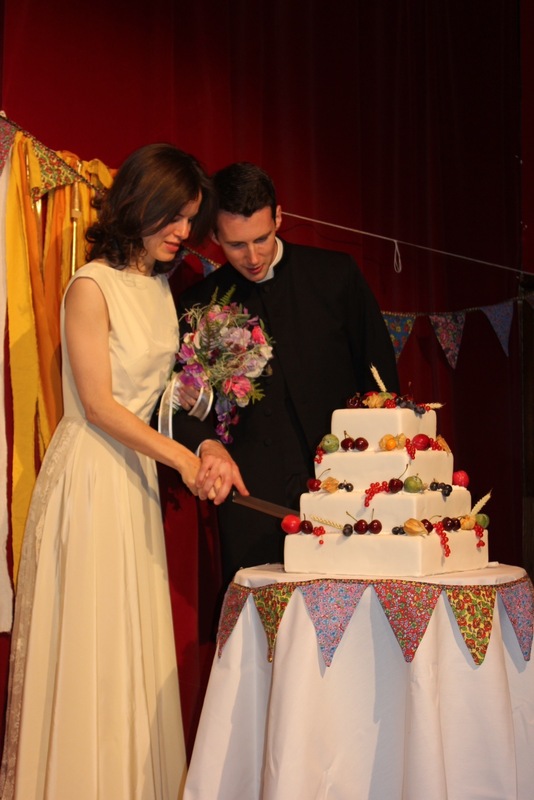 Hanna and I often talk about the disturbing aspects of contemporary wedding culture, in which people are lead to believe that their wedding has to be a day on which everything is ‘perfect’. Women in particular are put under the pressure of ‘perfection’, and not least when it comes to wedding dresses – as the world of bridal magazines would have it, it’s acceptable to spend thousands of pounds on your ‘dream’ wedding dress, a garment which will be worn only once (and is probably made entirely from synthetic fibres, in a factory in China – but that’s a post for another day…). 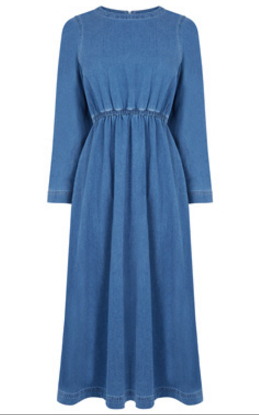 So in a context in which brides-to-be are expected to plan every little detail of ‘their’ day very far in advance, my wedding dress was in many ways last-minute. As I said in my last post, some people were clearly surprised and concerned that my dress wasn’t finished when I mentioned I was working on it in July. 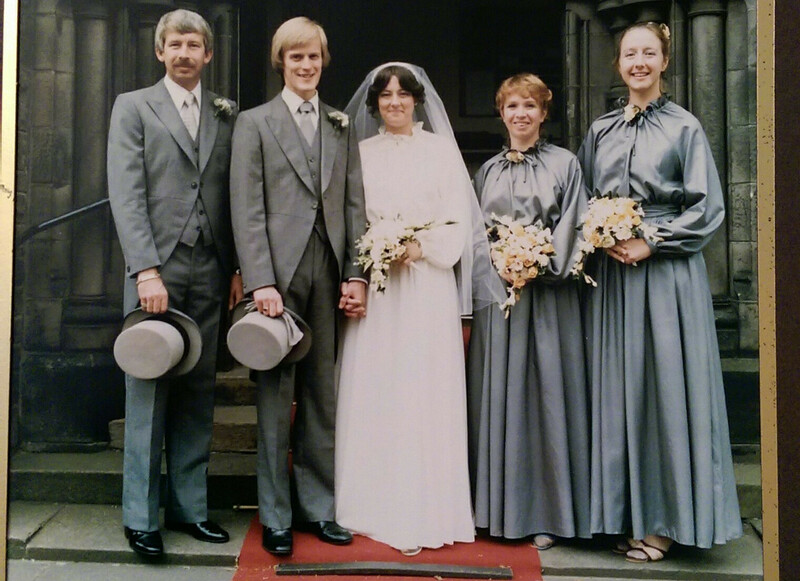 The dress was completed three days before our wedding, without any rush – just the satisfying pleasure of a project thoroughly executed, in the finest of materials (and without an eye-watering price tag). 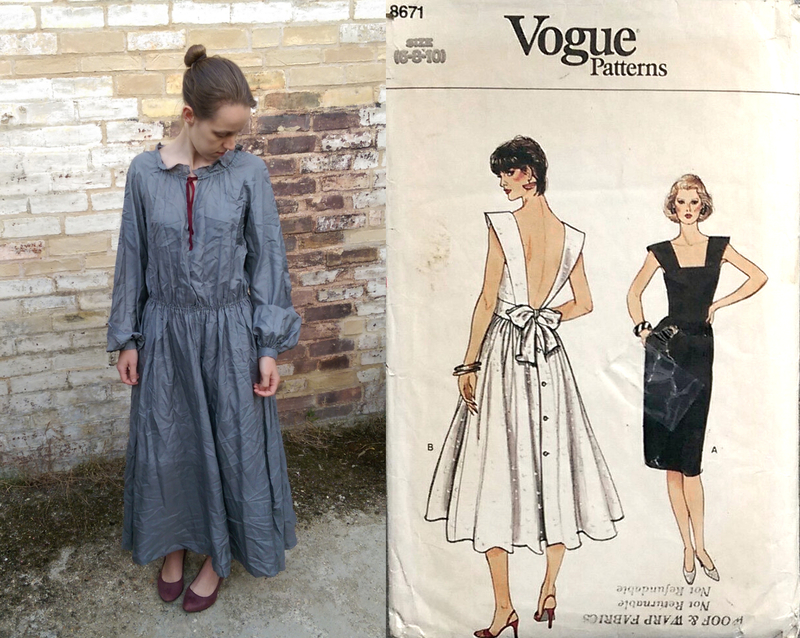 I was delighted with the finished dress, but much of my joy in wearing it came from the slow experience of making it, and the memories of that experience.